Just an Awesome well thought out novel! I'm anxious to read more from this author! I didn't receive his ebook for exchange for an honest review! I was compelled to review on Amazon and Goodreads just because it's that GOOD! What a great book, very well-written and a great storyline. This book kept my interest throughout, and was a good science fiction novel that I would recommend to any sci fi fans. 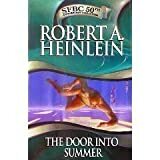 In part, it reminded me of Stargate SG-1, so if youâ€™re a fan of that, you will probably like this, except itâ€™s mostly about time travel rather than going to other planets. To improve it, I would remove the vulgarity of too much swearing. It adds nothing and is a bit distracting. I would also have only metric units used throughout, which I believe the US military use, it would make it more believable.